These remote controlled aircraft (also called drones) can position the camera for a perfect photograph or aerial video. Whatever your project is, let your imagination take flight! 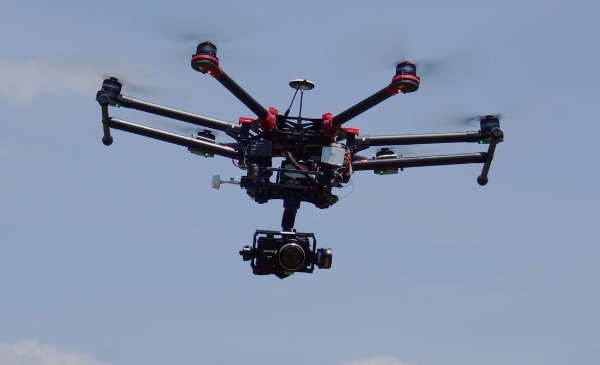 If you are producing a video and need some aerial shots, give us a call. Real Estate listings can showcase properties that will make them stand out among the crowd. Just want to make a memory? Our high resolution cameras can produce quality prints up to 16 X 24. Do you have a large construction project and need to get a current picture of the entire site? No problem! Have an area on a building or tower that is too high to reach and need to inspect portions of it? We can fly up and take a look. The list goes on. Most importantly, we have been building and flying these drones (called sUAS for small Unmanned Aircraft Systems) for many years and have been authorized by the FAA to fly commercially. Don't take chances with inexperienced or unlicensed operators. Give us a call and get a bird's eye view today!